Dear Royal Society, Have you Changed the Priority Rule in Scientific Discovery? Subject: Dear Royal Society, Have you Changed the Priority Rule in Scientific Discovery? Charles Darwin (FRS), Alfred Russel Wallace, and Richard Dawkins (FRS) and others, among whom I include myself, acknowledge that Patrick Matthew (1831) - in his book On Naval Timber and Arboriculture - published the full theory of natural slection many years before Darwin and Wallace put pen to private notepaper on the topic and 28 years before Darwin and Wallace (1858) had their papers read before the Linnean Society. Matthew uniquely coined his discovery the 'natural process of selection' and 29 years later Darwin uniquely shuffled Matthew's term into his own unique re-coinage the 'process of natural selection'. Darwin and Wallace each claimed to have arrived at exactly the same theory, used the same terminology and the same unique explanatory examples, independently of Matthew and independently of one another. The purpose of my open letter, therefore, is to request of the Royal Society an official statement to explain whether the Royal Society will affirm that Patrick Matthew, by dint of his achievement at publishing first one of the greatest discoveries in science, should be officially awarded full priority over both Darwin and Wallace for his great unique breakthrough? I presume the Royal Society has not unofficially changed its views on the rules of priority? In this regard I wish to remind the Royal Society of the Arago Effect to which it has adhered in all other disputes over priority for discovery in science - which is that being first is everything. Ignoring the convention of priority - specifically ignoring the Arago Effect - Richard Dawkins and others have created a new, unique in the history of scientific discovery - "Dawkins' Demand" that Matthew should not have priority over Darwin and Wallace because it was previously their 'knowledge belief' that Matthew's unique views went unnoticed. 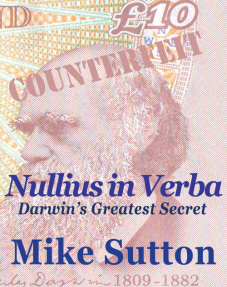 However, newly available Big Data research techniques reveal that Matthew's (1831) book was in fact (all pre 1858) cited by other naturalists known to Darwin/Wallace - including Loudon (who edited and published two of Blyth's influential papers), Robert Chambers (who wrote the highly influential book on evolution - the Vestiges of Creation) and Prideaux John Selby (who edited and published Wallace's Sarawak paper). (see: my peer reviewed paper for this new evidence http://britsoccrim.org/new/volume14/pbcc_2014_sutton.pdf ). If the Royal Society is making an exception to the rule of priority in the case of Patrick Matthew could it be so good to please explain why and make an official statement to the effect that this is not simply a biased Darwinist 'made for Matthew' rule?